Sometimes the best news is hidden… and isn’t always news. 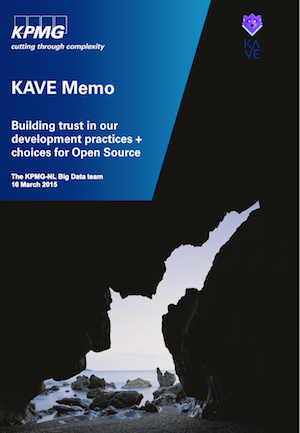 You’d have to be looking hoard to find this… but deep inside a PDF white paper written by KPMG, the firm has justified its reasons for using, adopting, developing and subsequently releasing open source software. The KPMG Analytics and Visualization Environment (KAVE) is an open source big data offering. The software itself is described as a modular big data platform that can be tailored to each user’s needs.